The Barley Brothers are hosting a 4 course Christmas meal on Saturday 21st December at Palm2 in Hackney, with a very intriguing sounding menu, including 'Mulled Rudolph...' Check this out, and watch out for more from them next year. "For one night only, the newly formed Barley Brothers will bring to London their unique take on festive fare – the way it ought to be. Taking over one of London’s most intriguing pop-up venues – an industrial restaurant space sandwiched between a corner shop and a boxing gym – the Barley Brothers will be making merry with their hearty Christmas-inspired menu of food and cocktails, with nary a turkey in sight. Instead, they’ll be dishing up Citrus Snowball (scallop ceviche with spiced mango and beetroot), Mulled Rudolph (spice-marinated rib and rump of venison), proper Figgy Pudding and other gastronomic delights. 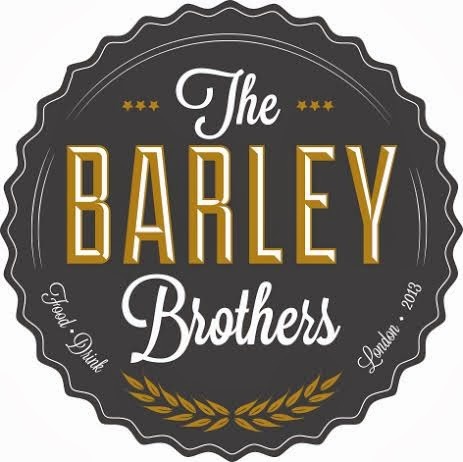 The Barley Brothers came together this year to create culinary experiences that they say will “leave your tastebuds sizzled, your constitution satisfied and your good self probably quite sozzled”. Their Christmas feast is the first venture for this ambitious trio, which is also hatching plans for supper clubs and a pop-up pub in the coming year. Their residency at the Palm 2 restaurant space follows previous appearances by fellow luminaries of London’s street food scene including Fin & Flounder, Zoe’s Ghana Kitchen and Tacochu."